Tony Bonett started in the flooring industry in 1975, installing carpets and vinyl flooring. 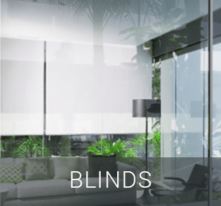 He then changed focus to sales, but the first hand installation experience is still a valuable asset for his clients in sourcing the best solutions with the best finishes. His experience proves his skill at installing the correct product for each location. Tony has a natural ability to identifying the suitable tones and textures to match your decor. 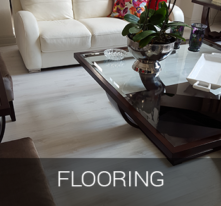 With the addition of wooden floors, under tile, under carpet and under wood heating, plus blinds to Bonetts supply and installation services at very competitive prices, Bonetts offers a wide bouquet of choices. Bonetts also offers custom made carpets, in any colour or design chosen by the client, in exquisite quality 100% wool fibre. We specialise in custom made staircase runners secured with brass rods. We strive to create the very best carpets. Bonetts has experienced installers, and the confidence to give you an installation guaranteed for the lifetime of the carpet or flooring. We have selected photos from a cross-section of installations, to showcase our experience and versatility. Bonetts did a fantastic job on my wooden floors, throughout my whole home. All my family and friends always comment on how beautiful my wooden floors are. "I have worked with Tony for several years and have always found him to be very helpful and efficient. Requests for quotations are always promptly attended to and installations are completed neatly and within the agreed time". 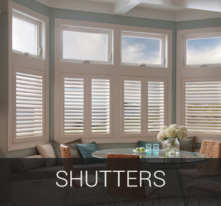 “We chose Bonetts to do our solid wood floors over four other companies because of their professional attitude and were ecstatic with the outcome. We have had the pleasure of using Tony Bonetts services for the more than 10 years on the eleven developments we have completed in the Randburg and Sandton area . Tony Bonett has been an accredited contractor at Eris Property Group (Pty) Ltd for the last 5 years. I was delighted to hear that you have started your own business. I know that you will be very successful with your new venture. Thank you to Tony Bonett for his outstanding and professional service and a job very well done. We look forward to doing more business with him in the future. I found the service and communication from the Tony Bonnet to be excellent. He knew his product and his expert fitters did a superb job. I have had the most pleasant of working relationships with Tony Bonett over the past decade. He has always given me First class service and the installations have been flawless. Joan Young of Joan Young Interiors. I have been using Bonetts Interior Projects for 8 years and have always found the job to be well done and on time. Quality driven work. Personally supervised and always on time, excellent, competitive pricing. My thanks to you and your team for a job well done. We have been using Bonetts Interior Projects for our Corporate Projects, for the past five years, and have always been satisfied with their professionalism, pricing and quality of work. Tony, Elise and the rest of the team are always a pleasure to work with. We have been fortunate enough to have worked extensively with Bonett’s Interior Projects since 2012, and can highly recommend them to anyone. They have always been on time in our project environment, their pricing has been competitive and their quality and workmanship we cannot fault. Furthermore, their staff have always been willing to go that extra mile to ensure complete customer satisfaction. It’s always a great success, and you are so patient with difficult clients..
We have used Bonetts Interior Projects to do the flooring in our home for many years and have found Tony to be professional, punctual and very competitive with pricing ..
We have no issues to date with the products or installation and have found his team to be efficient and very respectful. 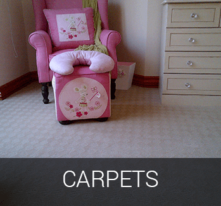 Carpets look good, please thank your team, they are a credit to your Business. Tony Bonett started in the flooring industry in 1975, installing carpets and vinyl flooring. He then changed focus to sales, but the first hand installation experience is still a valuable. Copyright © 2019 Bonetts Interior Projects | Proudly Developed by Ipcoweb | web • seo • social | All Rights Reserved.